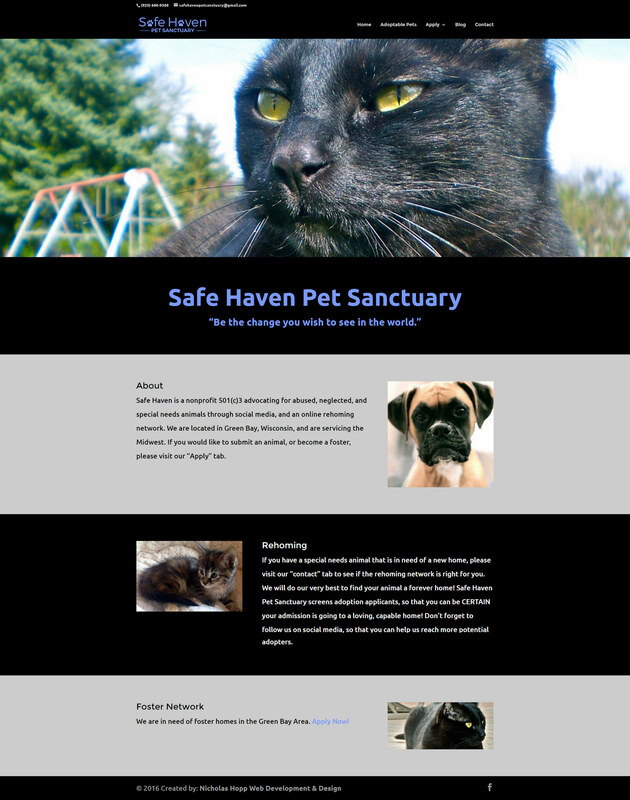 Safe Haven Pet Sanctuary was looking to build a new website to better support the local community. The website will help find good homes for abused, neglected, and special needs animals in Wisconsin. It features responsive design making the website tablet and mobile friendly. This is only Phase 1 of the website. Come back soon and see the new updates.